Less than 24 hours after arriving to Buenos Aires, we were met downstairs from our apartment by Ana, our tour guide for the day. We are staying in the ‘microcentro’ part of the city, the main financial and business district, and on this bustling Friday morning, Ana wants to get us away from the suits and toward some of the more beautiful spots in the city. 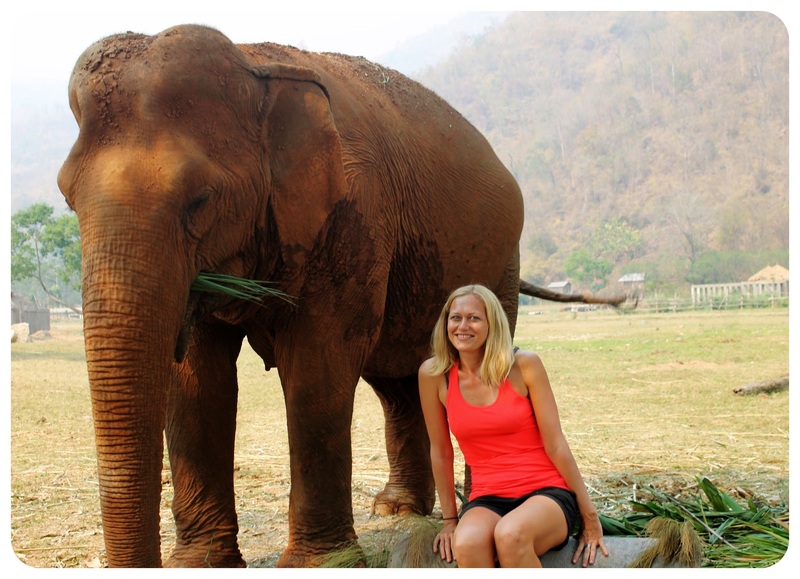 Her goal, she tells us, is to give us a tour from a local’s perspective, which is just the way we like it. The tour is entirely private, and feels like having a built-in native friend for the day. As always, we have done our research beyond the typical wine, tango and beef Buenos Aires is famous for, but having Ana means being able to ask as may questions as possible to understand just what the Argentine capital is really all about. 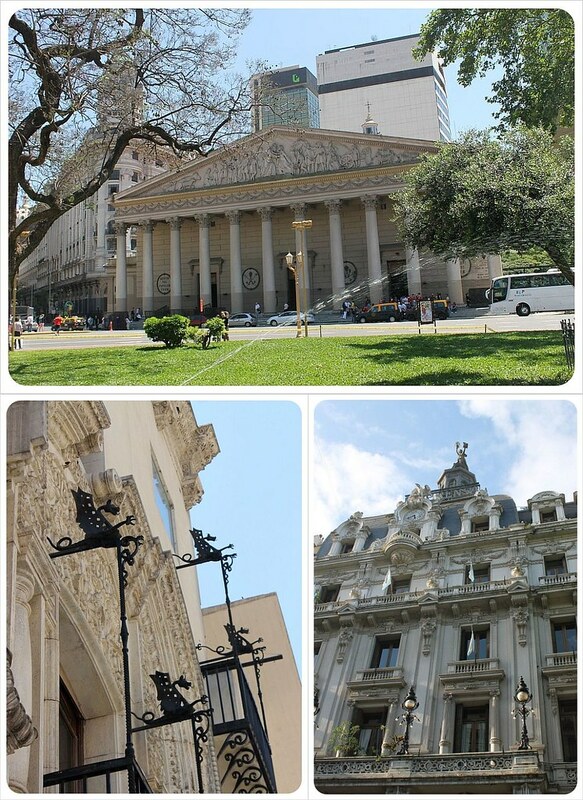 We prefer to take a tour during the first days of a longer stay, but this is especially important for us in Buenos Aires, where we are staying for at least a month. This insider perspective begins right away as we turn onto the Avenida Florida. Crowded and hectic, this tourist-centric pedestrian street is often mentioned as a must-do in Buenos Aires, but as we push through on our way to the famous Plaza de Mayo, Ana tells us about the ‘arbolitos’ or ‘little trees’. These people who stand on Florida are money-changers, called little trees because of their green leaves, or dollars. She explains the economic situation in the country, the locals’ inability to change pesos into dollars, the current political situation and just how shady doing business with these little trees can be. 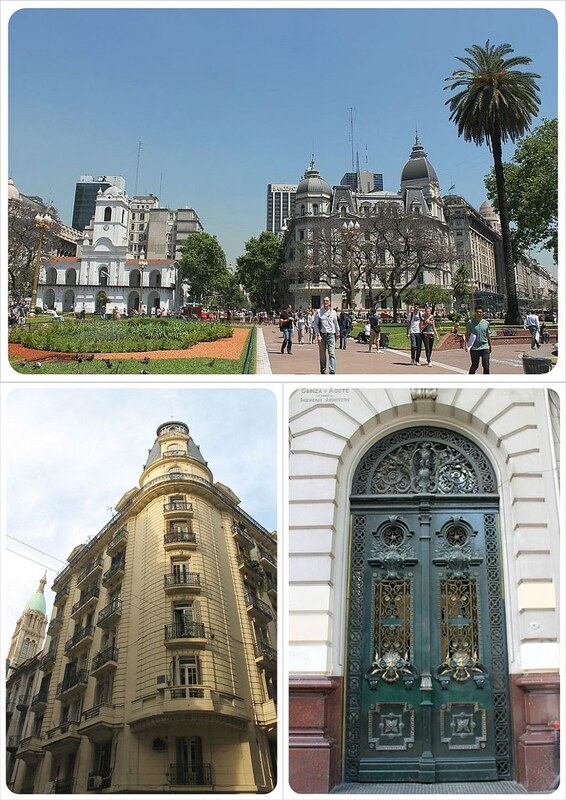 By the time we get to the Plaza de Mayo, we have learned about the differences between the people of Buenos Aires, known as porteños, and the rest of Argentina. We learn about the many protests in the city, and looking at the back of the Casa Rosada (the pink house, similar to the White House in Washington, DC) we talk in detail about the famous balcony where Eva Peron gave her speech to the people. When we ask Ana about the hunger strike happening on the square, she explains that they are protesting about the Malvinas, or Falkland Islands. There are painted white shawls on the floor around a fountain nearby, which represent the Mothers of the Plaza de Mayo, who gather in white on Thursdays, and have done so demanding an answer from the government since their children (11,000 in total) were ‘disappeared’ during the country’s Dirty War from 1976-1983 by state-sponsored terrorism. The conversation goes a bit dark, but that is exactly the kind of straightforward, realistic information we look for, rather than a rosy picture focused on incredible European architecture and delicious food and drink. From here, we venture down into the Subte, the Buenos Aires subway system, for the first time. While we make it a point to master the subway in any city, we really appreciate how rare it is for a tour guide to actually take tourists on public transportation. She shows us how to buy tickets and then makes sure we wait for a train to pass in order to get on one of the antique trains, which was like taking a ride on a piece of living history. We would not have known that there is still one line that runs these amazing old-timer trains and it was a really fun intro to the subway system. As our day continues, she also takes us on the bus, which is not exactly a straightforward affair. We are glad to have her lead by example, at least at first. By the time we hop on later that day after the tour, there’s no fumbling for change and we feel like pros. 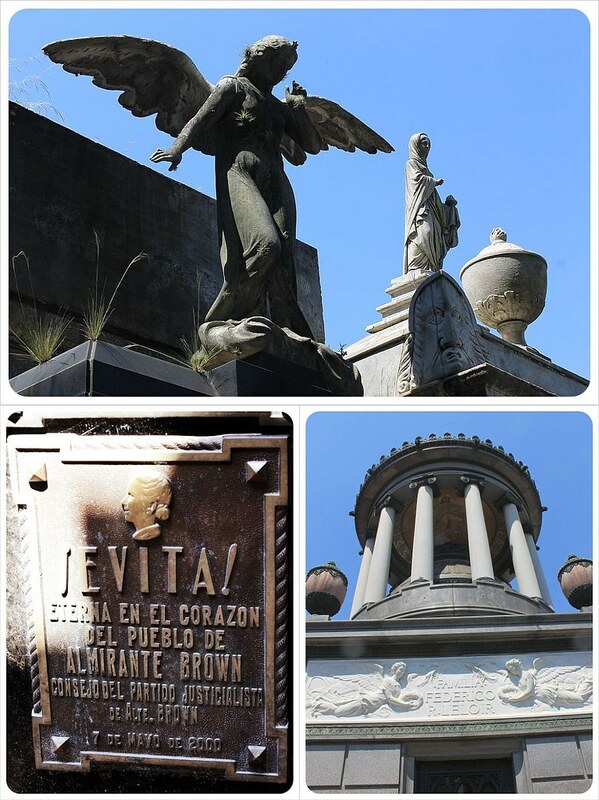 We head to the famous Recoleta cemetery, one of the top three cemeteries in the world. We could have and will spend a whole afternoon here, but Ana’s quick half-hour overview was fascinating. We learned why Evita is buried in a simple black mausoleum compared to the other spectacular mansions, plus she tells loads of insider stories, histories of the people buried here and the cemetery in general, too. Over an ice cream stop nearby to give our legs a rest, we swap travel stories with Ana, who is extremely well-traveled, talking about London and Manhattan while eating typical ‘dulce de leche’ ice cream on a bench across from a building that looks unmistakably Parisian. 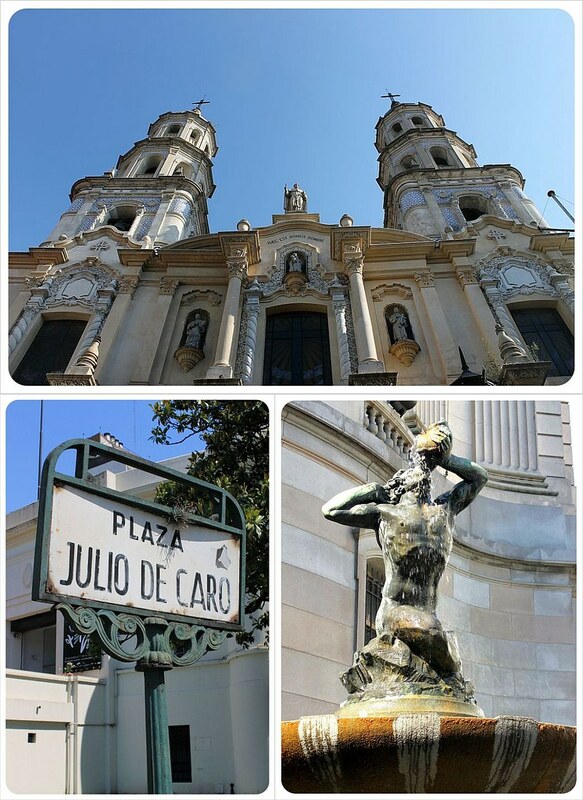 After another bus ride and a walk up the Avenida Defensa through the bohemian San Telmo, Ana leaves us at Plaza Dorrego, but not before informing us about the antiques market here on Sundays and other markets throughout the city we need to visit. As we take our leave of her, Ana inspires us by telling us what a pleasure it was and about how, no matter where in the world she travels, she remains so proud to show people around her incredible hometown everyday. After exploring Buenos Aires on our own for a week now, we can most certainly understand how the Argentine capital continues to amaze even its locals. 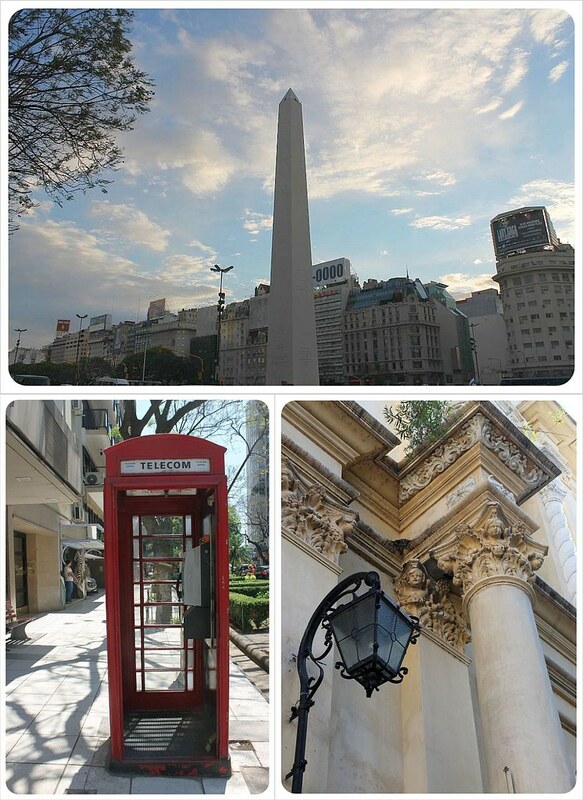 We can’t wait to spend the rest of our time in Buenos Aires uncovering more local treats that the city has to offer. The private tour is one part of the five-day Buenos Aires experience from CAT Travel, a provider of South America tours, which includes Buenos Aires highlights like tango, walking tours, a trip to an estancia (ranch) and even an optional day trip to the popular colonial town La Colonia del Sacramento across the Rio de la Plata in Uruguay, plus other Argentina tours. I am so glad you guys are enjoying my 2nd home! I am only sad I couldn’t have been your local tour guide! Fun fact – I stood on Evita’s balcony! My friend’s mom works at the Casa Rosada so she let me ride in Evita’s private elevator, sit at her desk, and all kinds of other totally not allowed things. I’m so glad you rode the A train too! 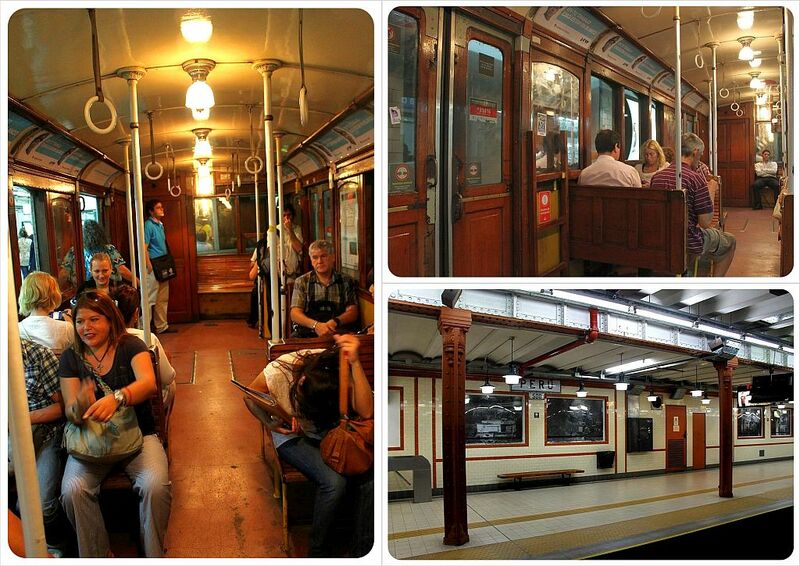 I pretty much never had any reason to ride the A line, but I loved when I did because I love the old cars. Rease – we are having such a good time here! You are so lucky to have stood on Evita’s balcony, how awesome is that!! About the A-train – I have to admit that we would’ve probably never taken it, if Ana hadn’t took us on it, but it was such a neat experience. I love that these trains are still running!! Enjoy it guys! 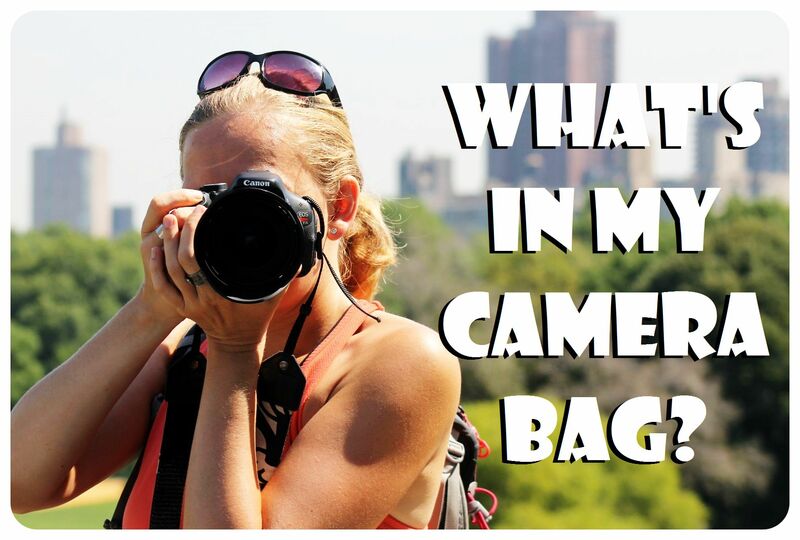 Isn’t it nice to know you have a whole month to explore every nook and cranny of BA? We are almost halfway through our month in Amsterdam and I can’t imagine only being here for just a couple days and try to get to know it. Sounds like a great way to start your time in a great city. I agree it’s awesome to be able to dig deep and get a locals perspective. 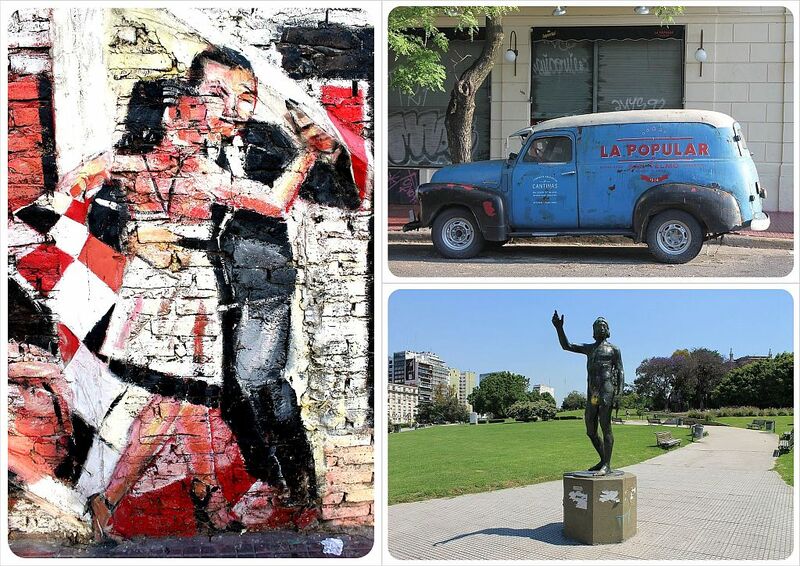 Another point in the column for staying places a little bit longer – it’s so fascinating to really get to know a place, especially a diverse, cultural city like BsAs! Sooo delighted that you love my adopted city! I sure do hope you come back for NYE. Besos!!! HI, girls, I have just read this!! It is great to hear that your stay in my city was so great. Of course you will be always welcome to come, to walk, to go to a soccer match, and of course, to have another dulce de leche icecream. thanks so much for leting me share that great summer day with you two.you are lovely and funny!! Kind regards from Buenos Aires, hope to see you again.